I realised that I haven't posted any finished objects since this post. 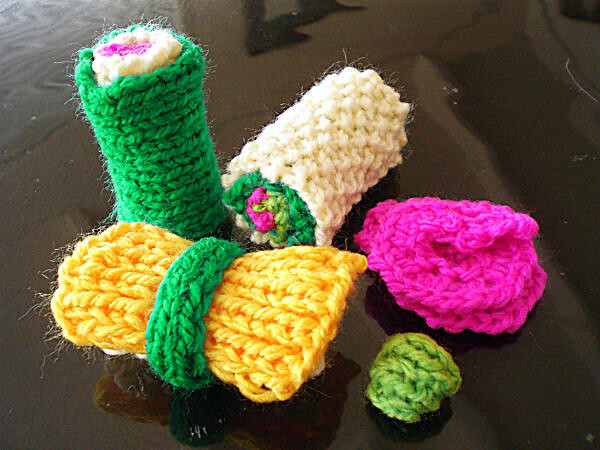 So here are the rest of the things I made in 2009. 2010 will follow. 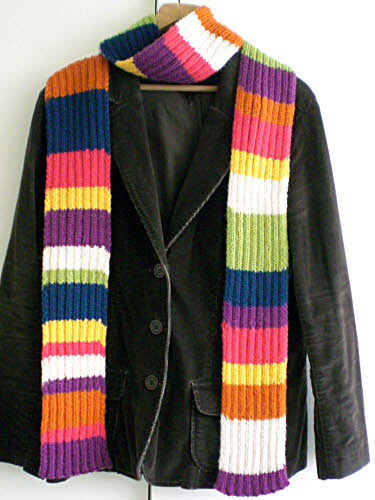 On the left, a striped scarf, made for Greg. 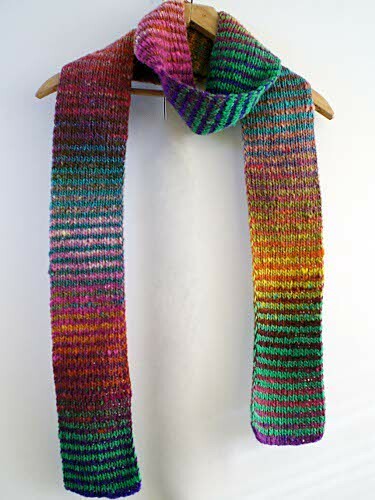 This is such a simple pattern and concept--two different changing yarns in alternate double rows--but I love the way the colours interleave and change, rather like waves. 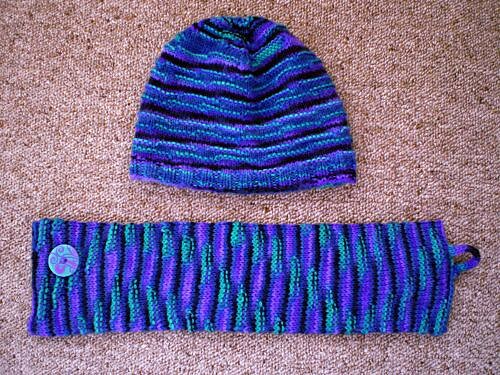 I made myself one in other colours, on the right. 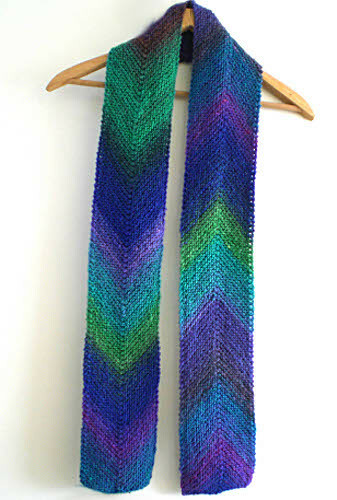 Two "multi-directional diagonal" scarves, the one on the left made from yarn zoefruitcake sent me from England. I'm not sure who will get the one on the right. 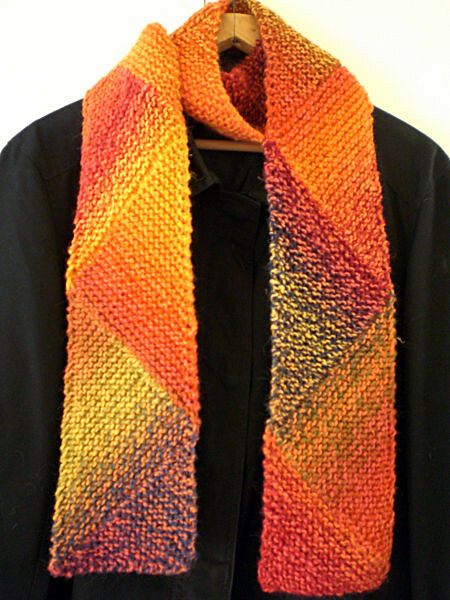 I love the look and call it the flame scarf, but they're not really my colours. 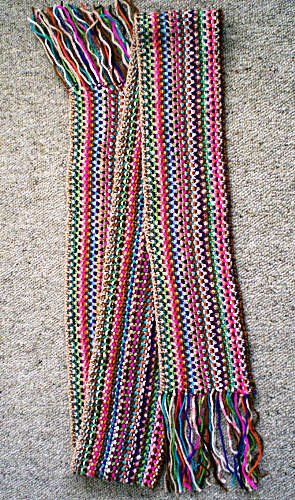 Hat and neckwarmer, done in the Typographie pattern where a certain colour is chosen and always purled so it stands up. 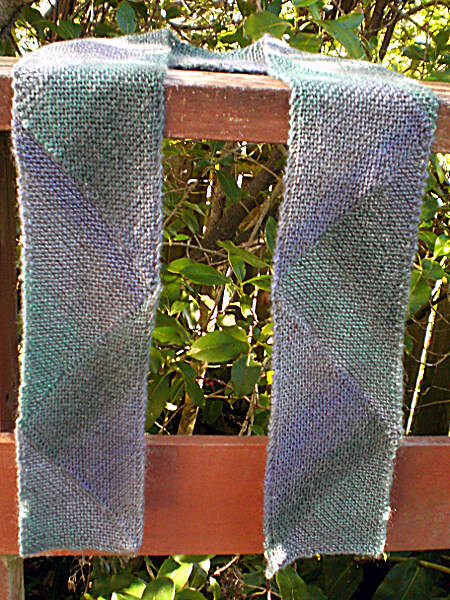 Woven-look scarf, done in linen stitch. 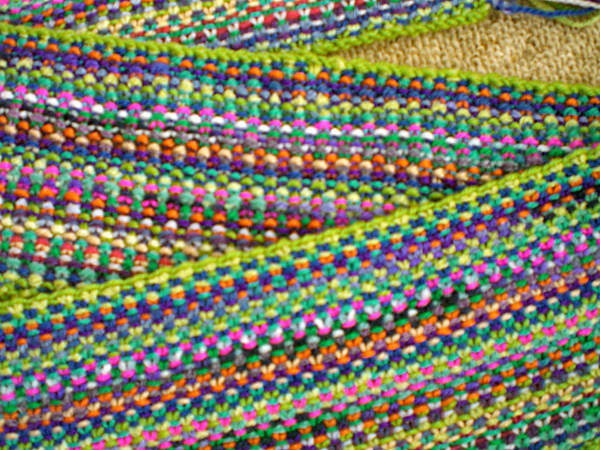 I love this stitch for its look and feel: smooth, soft, and drapey. 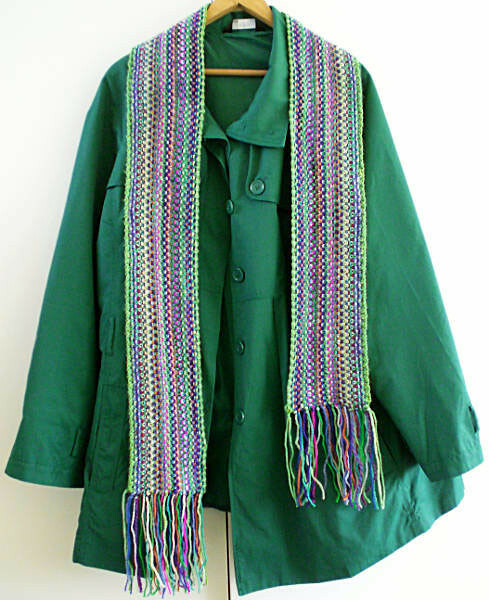 I liked it so much I made two more to use up all my scrap yarn. 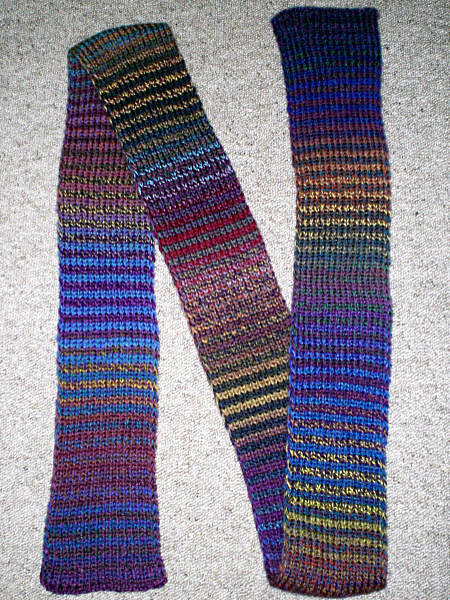 I'm going to make another for my sister in her chosen colours. 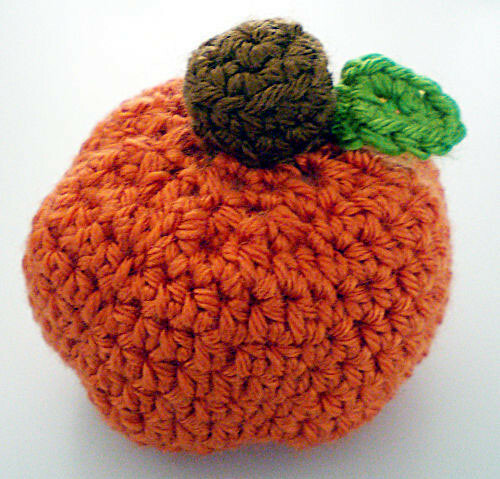 Crocheted pumpkin for someone whose nickname is Pumpkin, and some sushi for a friend. 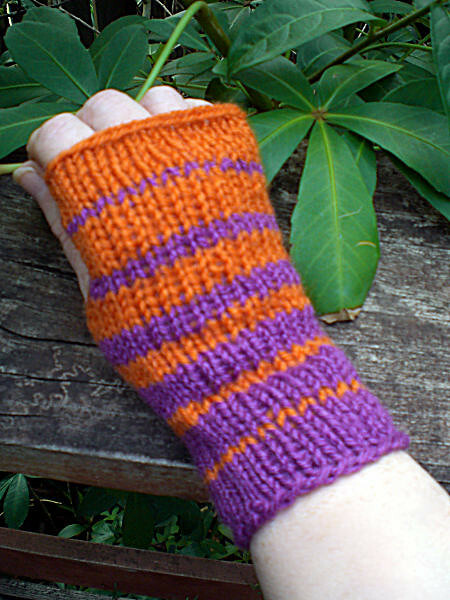 Ribbed striped DW-inspired scarf with matching mitts. 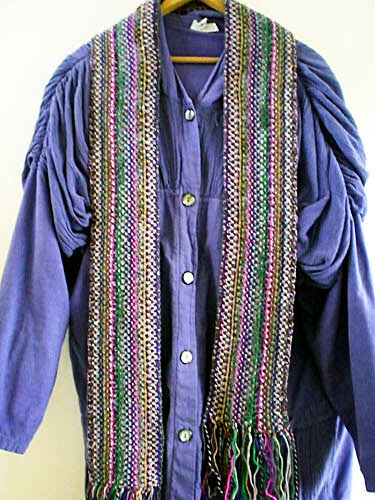 I also made some green and blue ones for altariel, plain blue for mraltariel, and some blue and purple ones for zoefruitcake.